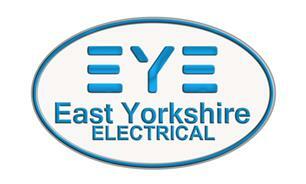 East Yorkshire Electrical - Electrician based in Kirk Ella, North Humberside. Work Guaranteed for 5 Years. You can be assured with East Yorkshire Electrical that we provide a cost effective electrical solution for all of your needs. We are specialists in the design and installation of high quality, energy efficient systems, helping you reduce your carbon footprint and save some hard earned money. We carry out work from basic household installations to large scale LED lighting systems, working in your homes, schools, offices and even farms. We believe our electricians are of the best in the area and by maintaining a high standard of work as well as providing a very safe installation, we are constantly leaving customers highly satisfied. At East Yorkshire Electrical, we make sure all of our work is of the highest standard. References from our previous customers are available upon request.